Proof Bust half dollars are extremely rare coins that, when offered for sale, are often quick to land buyers. While all early proof coins are coveted by collectors, the proof Bust half dollars are aided in the marketplace by a broad and enthusiastic base of hobbyists who actively collect coins from this specific type family. While not necessarily a proof, the earliest known example of a numismatic-strike Bust half dollar is the 1796 special strike, which has just known one survivor but carries with it fully proof-like surfaces and outstanding strike. Another special strike is known from 1807 with resplendent strike and nearly proof-like fields. 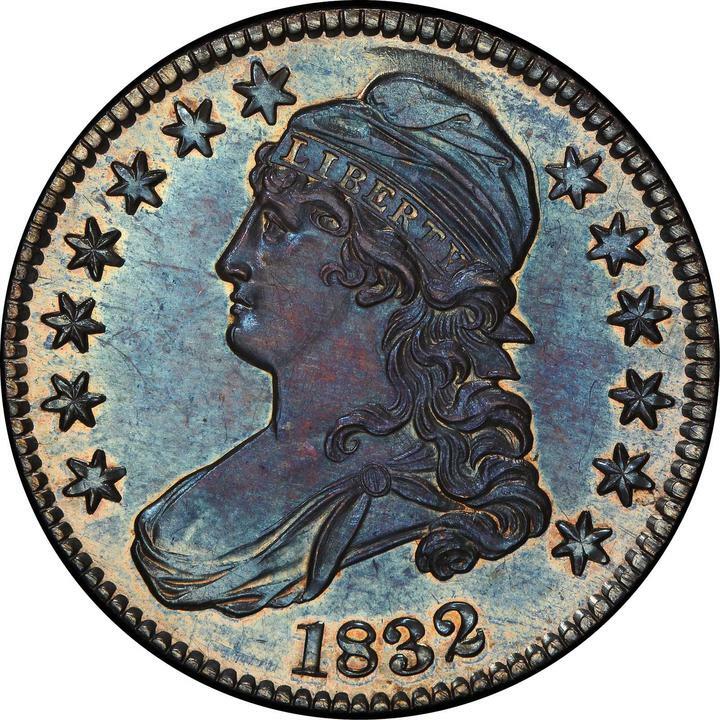 However, the first proper proofs among the Bust half dollar series occurs in 1818, with proof specimens accounted in United States Mint records for every year thereafter through the duration of the series in 1839. Mintages for each of these pieces run between 5 and 15 per issue, though often just 1 to 3 are accounted for. Perhaps the most unusual proof Bust half dollar from this later period is the 1838-O, struck at the New Orleans Mint. It was the first coin ever struck at the New Orleans Mint and only about 20 were made with a dozen survivors known. A great rarity of historic significance, its value soars well into the six figures.